I've been specing new stools for a few different projects lately and it has been time consuming. 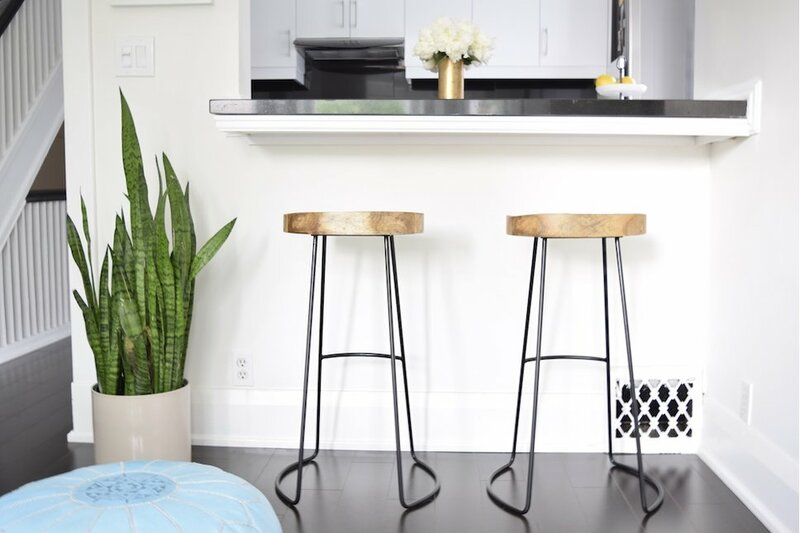 Finding the right stools at an affordable price can be challenging because there are so many factors to consider, including height, style and comfort. 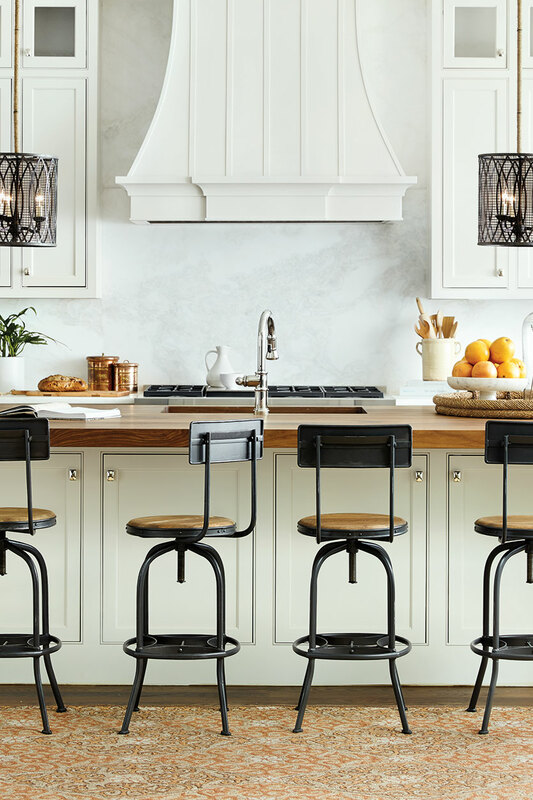 Given this, I thought it might be helpful to share a quick guide to help you find the best stools for your kitchen. I love these Cherner counter stools. 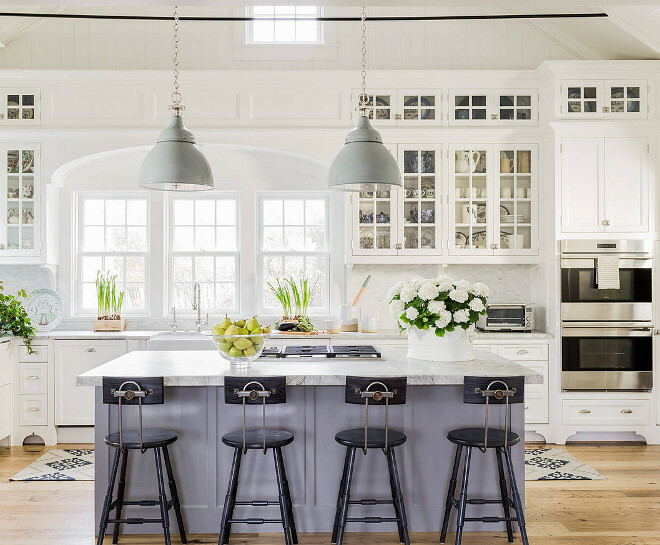 They look striking in this kitchen; great scale, style and height. A casual alternative for dining tables or breakfast nooks. 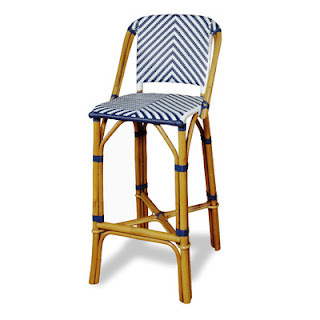 Designed for kitchen islands or home bars. A taller bar-top option that you'll find in most restaurants. The go-to choice for high surfaces. 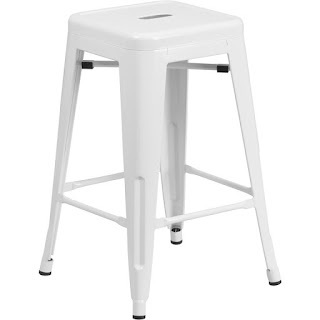 Short/Chair stool heights are generally 18" from floor to seat. Use with a table or counter that is 36"-39" in height. 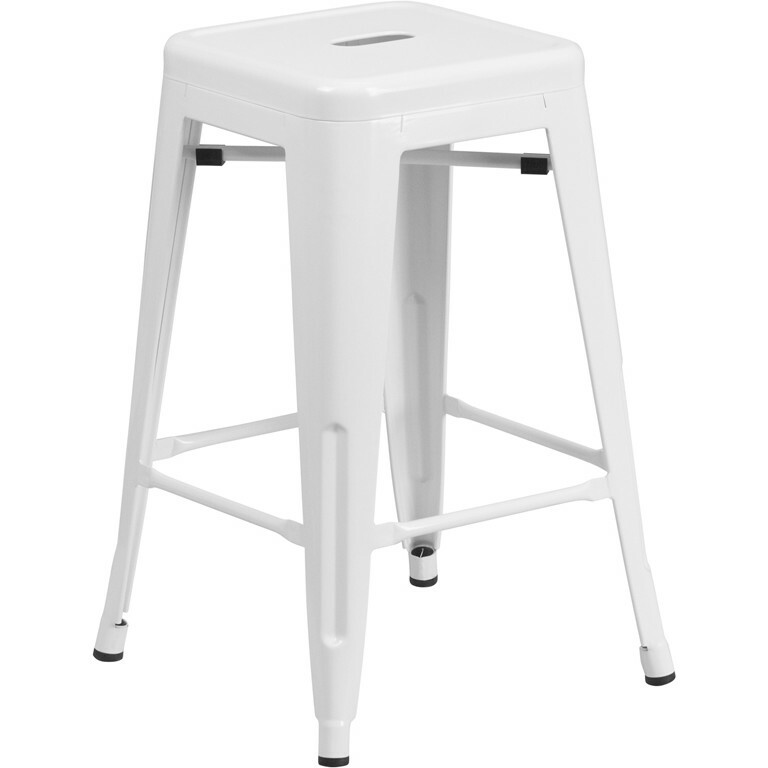 Counter stool heights are generally 24"-27" from floor to seat. Use with a table or counter that is 35"-39" in height. Bar stool heights are generally 28"-30" or 33" from floor to seat. Use with a table or counter that is 41"-43" in height. Tall height is 34"-40" inches from floor to seat. Use with a surface that is 44"-47" in height. An easy way to determine the distance between stools that I use is to measure 26" to 30" from the center of one stool to another. Since bar stool widths can vary, I find this way to be the most accurate. 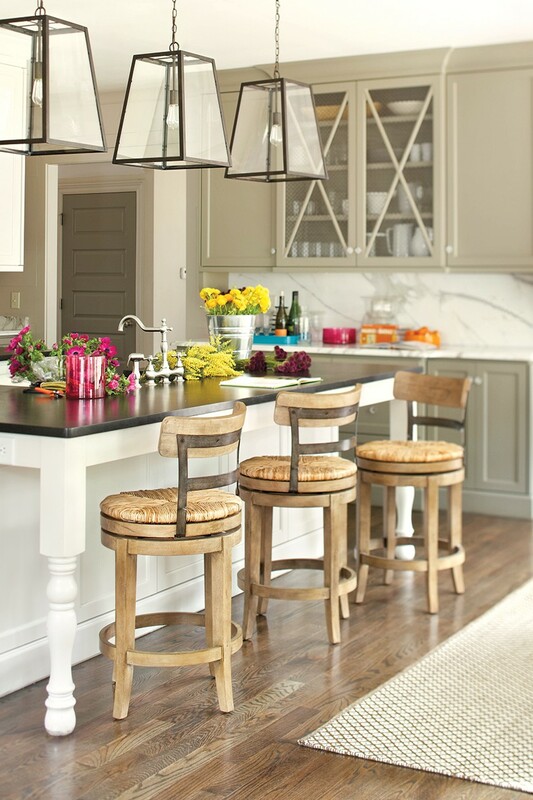 You want to leave enough breathing room between the stools once they are all in place. 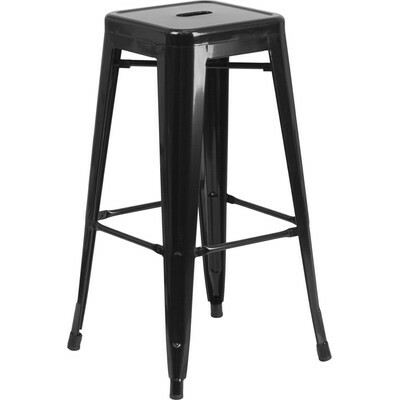 If you choose stools that swivel and/or have arms, you will need to add a bit more space between stools. These bar stools are perfectly spaced. If you choose upholstered stools you may not be able to fit as many stools for comfortable seating. 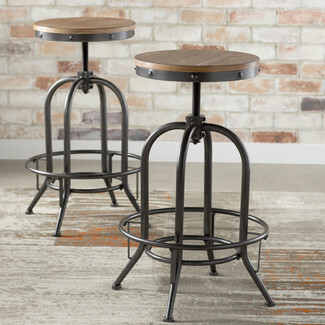 These linen and iron pipe counter stools are Furniture Classics. Leave 9" - 12" between the stool seat and the underside of the surface so people will be able to sit comfortably. Do you want to make a design statement or do you want more discreet seating? 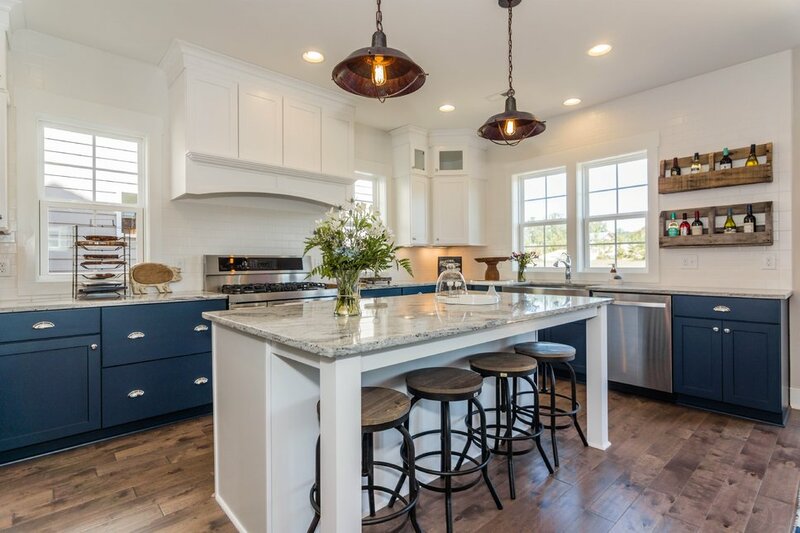 Do you want to match or layer materials in your kitchen? 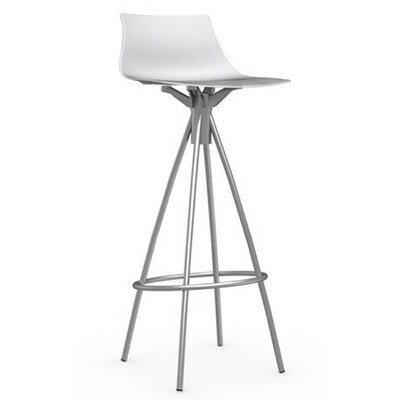 Will the stools you really want work in the space you have? 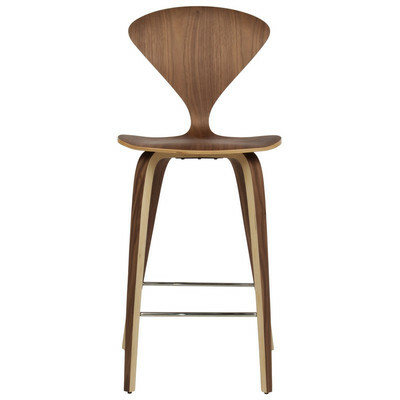 What type of stool will work best: backless, half back, full back or upholstered? What is most important: is comfort king or is it all about the looks? Do you need swivel or stationary? 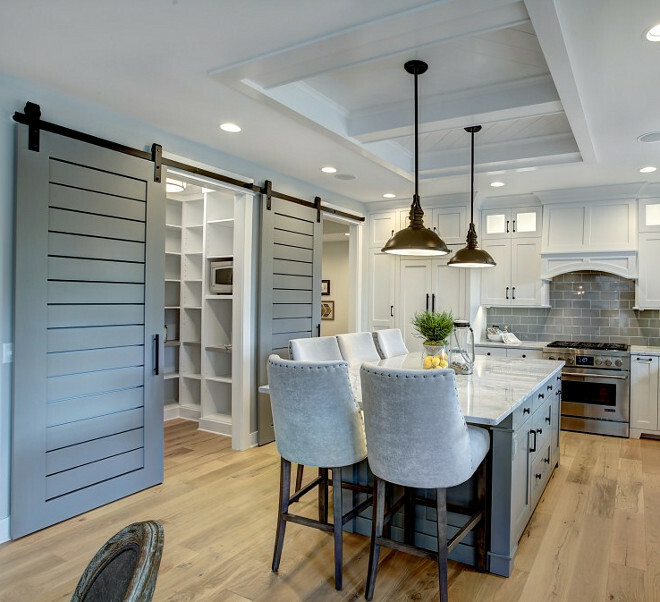 Do you need the height to be adjustable? 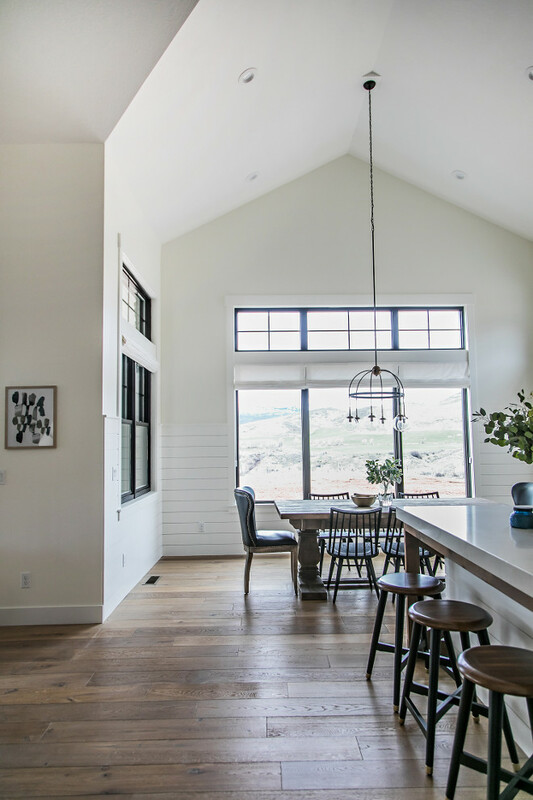 Tip: Regardless of what the style is, staying mindful of scale is always important, not just with regard to the space they sit in, but also in context with other furnishings. 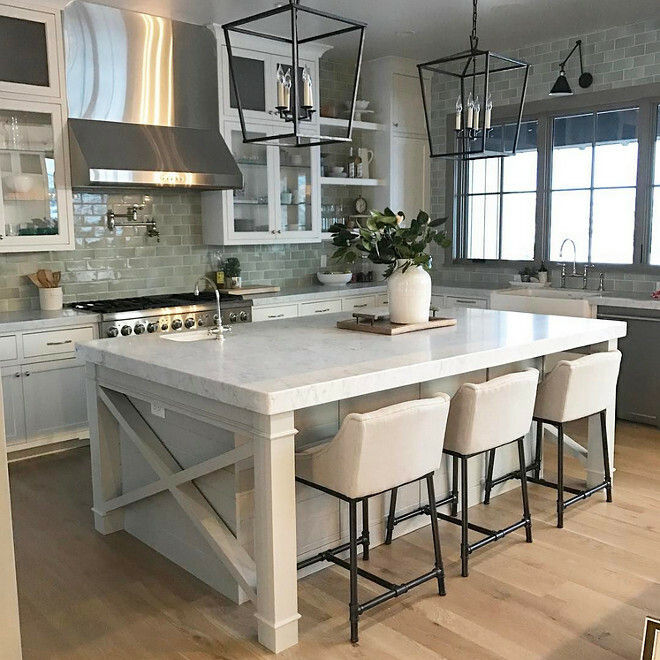 If your stools are in a busy or narrow corridor or you don't want a look that overwhelms your island, consider choosing backless seating that can be easily tucked under the counter. This style of bar stool is one of the most universal designs. It is both light and industrial and the wood seat is considered to be comfortable. 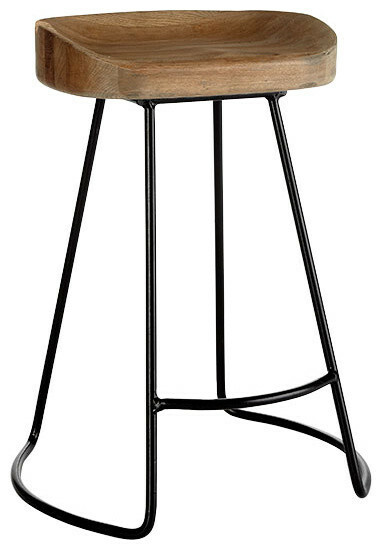 Metal bar stools breathe a little fresh air into spaces by introducing a contrasting material and texture. They're ideal if you want to layer materials in your kitchen and they can be found in various styles, including full back. 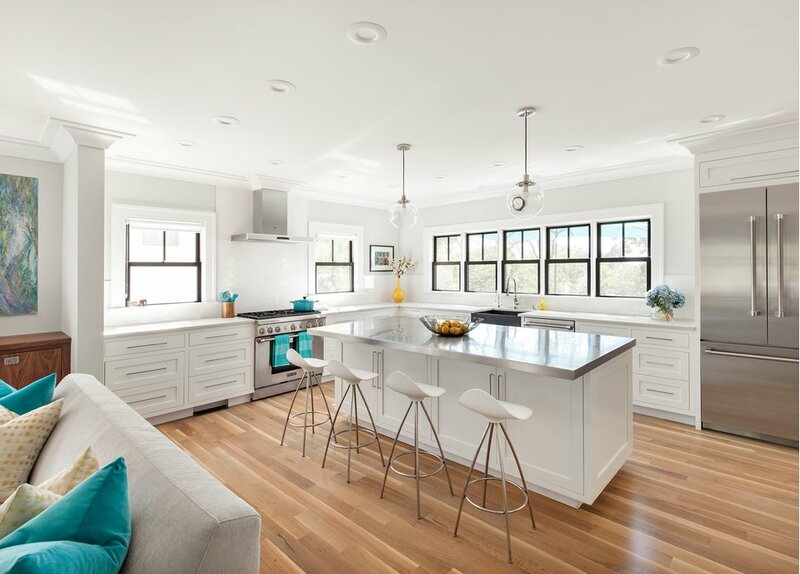 These wooden bar stools add contrast and an element of warmth to this white kitchen. 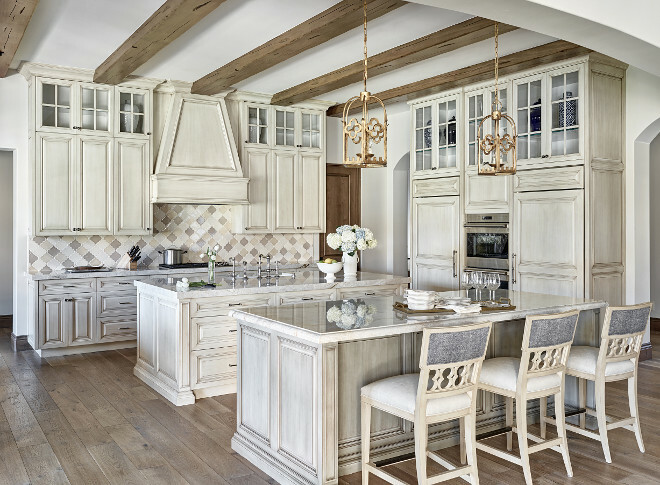 The stained seats tie together the warm wood trim on the island, hood and open shelves. 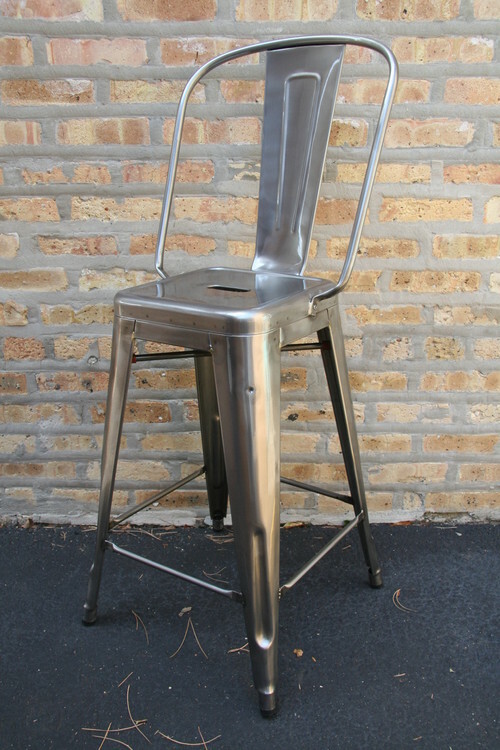 If your stools will be used where food is served, consider a low-maintenance material such as metal, wood or leather. If you choose upholstered stools, look for a microfiber that will wipe clean. Or, choose cushions that you can swap out. 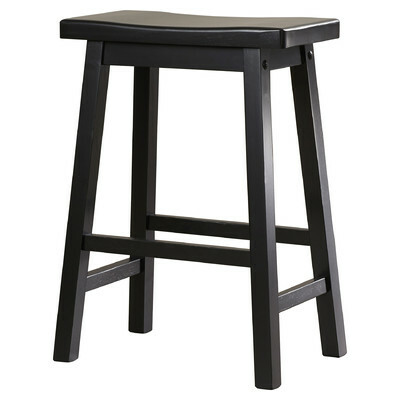 If you love to entertain and want something more lounge-worthy, choose a broad-backed stool with deep seating. 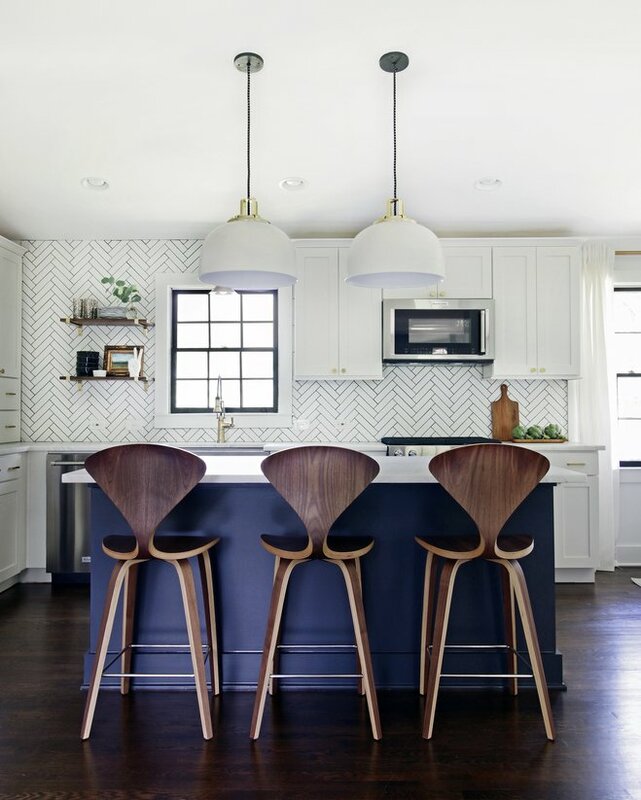 If you want a back, but prefer to retain a little openness, consider a bar stool with an open splat which takes up minimal visual space. 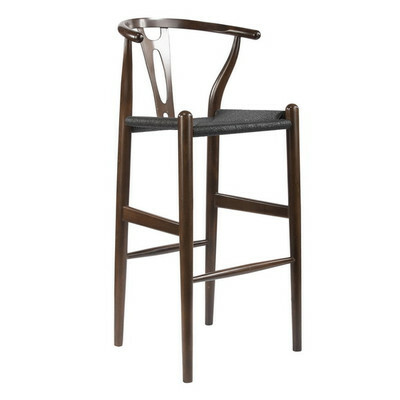 This stool is Wegner. 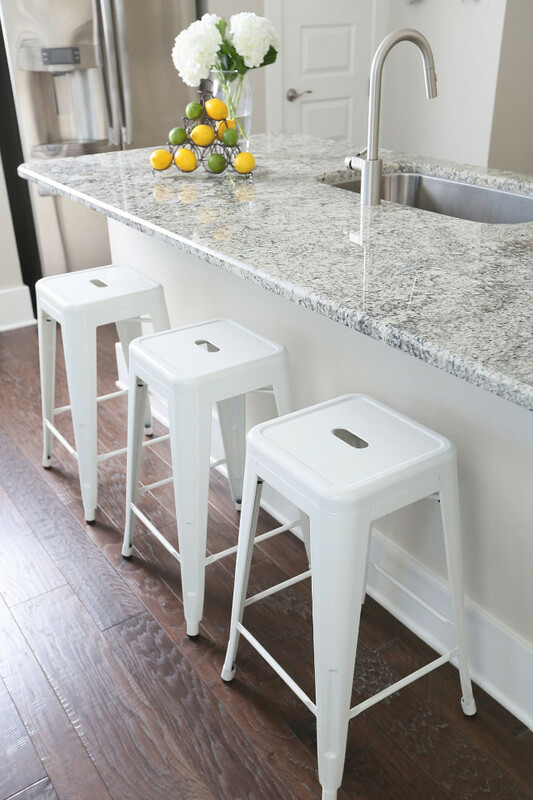 These backless white metal bar stools add a coastal feel. This stool comes in several different colors and 24" or 36" heights. See below for the link. 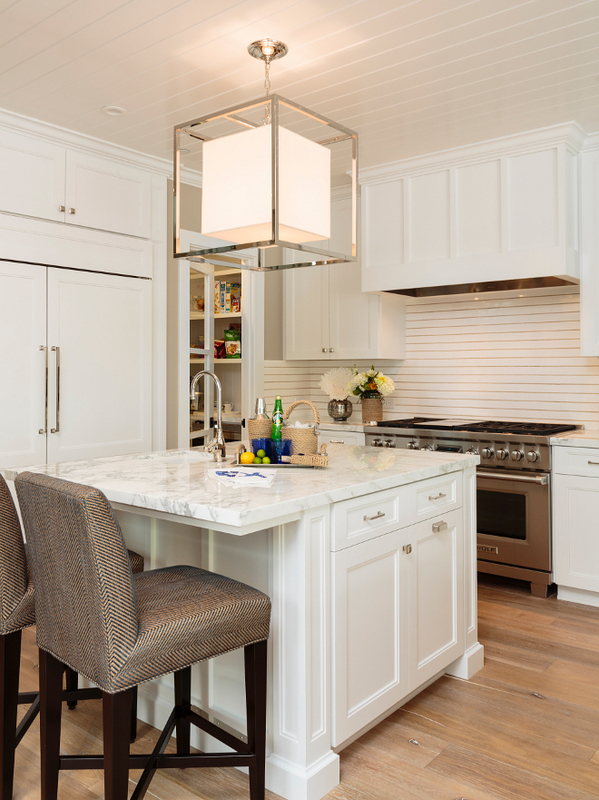 If space is limited, or if you prefer a non-cluttered look, consider simple, unembellished stools that stow under the bar top. 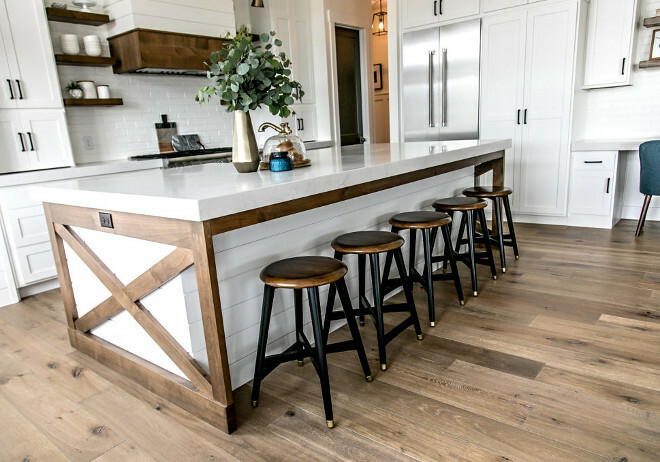 Whether the style of your kitchen is contemporary, farmhouse, traditional, or rustic, you can find a stool that complements your look. 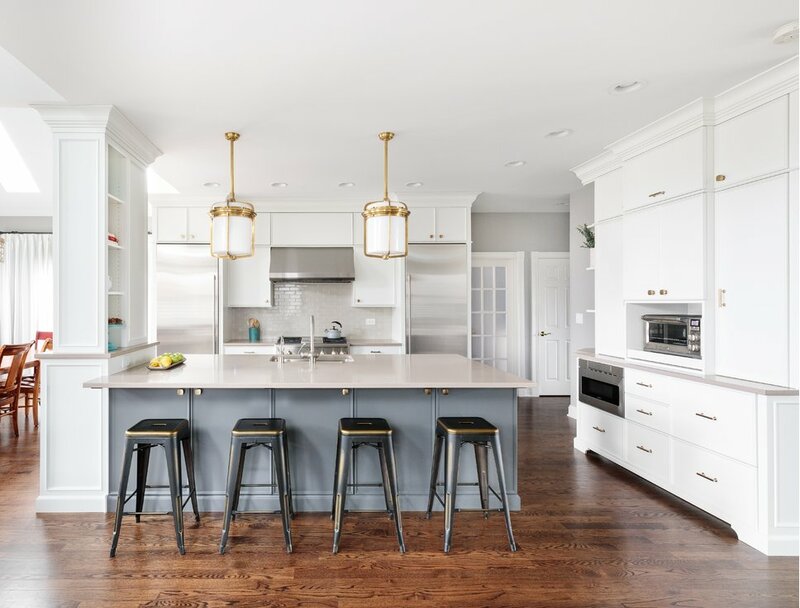 If you treat the counter as more of a place for snacks and chatting while cooking, having a full back isn't quite as important, or for a streamlined or contemporary look, a low back stool would look nice. The last tip: There is no need to be too matchy-matchy. 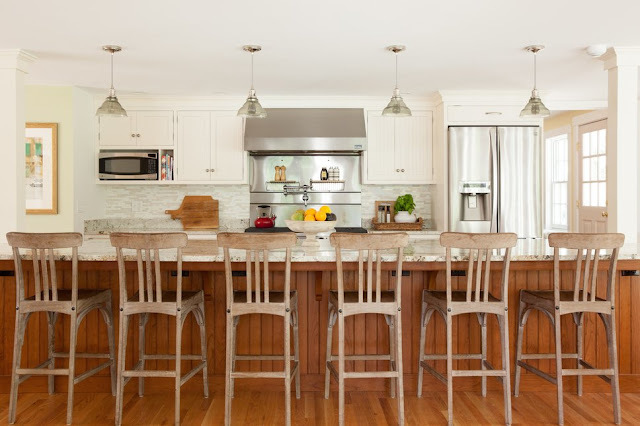 If your dining room is adjacent to your kitchen, it's not necessary to match the style of seating. 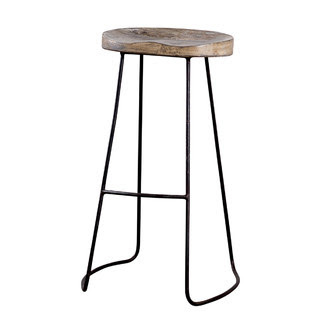 And if you already have a lot of wood, try mixing it up with metal stools. 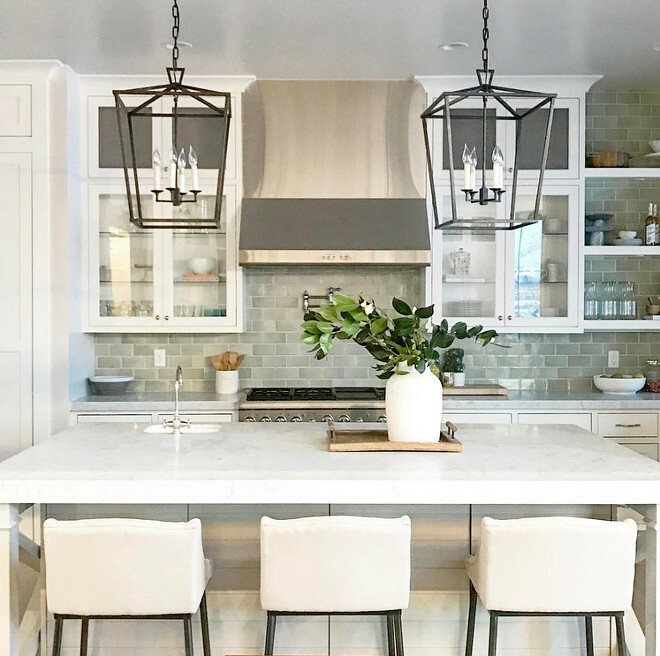 I hope this quick guide with tips and ideas will help you choose the right bar stools for your space.